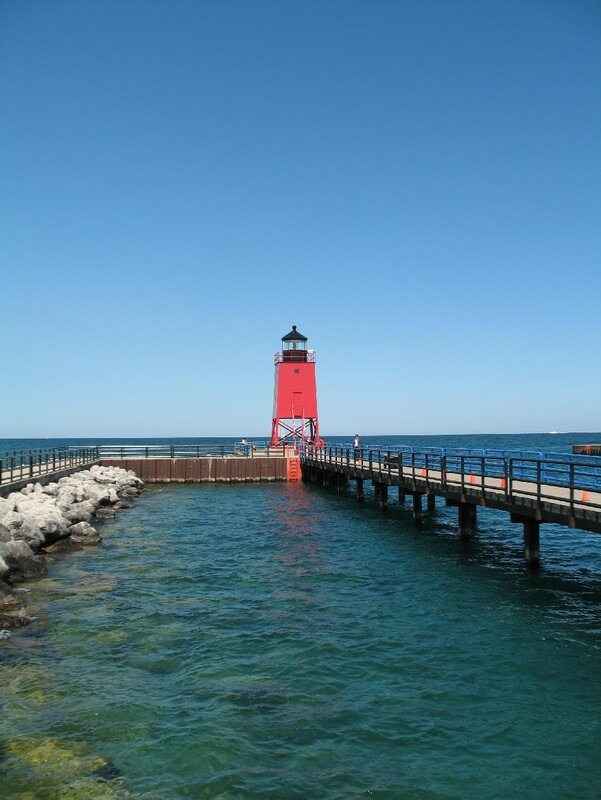 The site visit to the Charlevoix South Pier Light was conducted on Thursday, August 6, 2009. 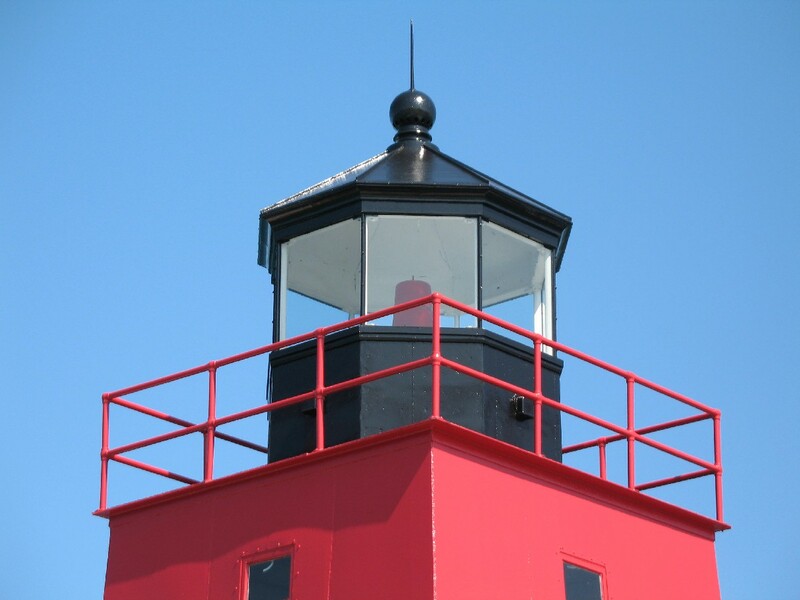 The grant work completed was the painting of the exterior of the light. Present at the site visit were Bob Ziman, Mihm Enterprises, Michelle Trombley, Smay Trombley Architecture, Denise Sachau, and Bryan Lijewski from SHPO. 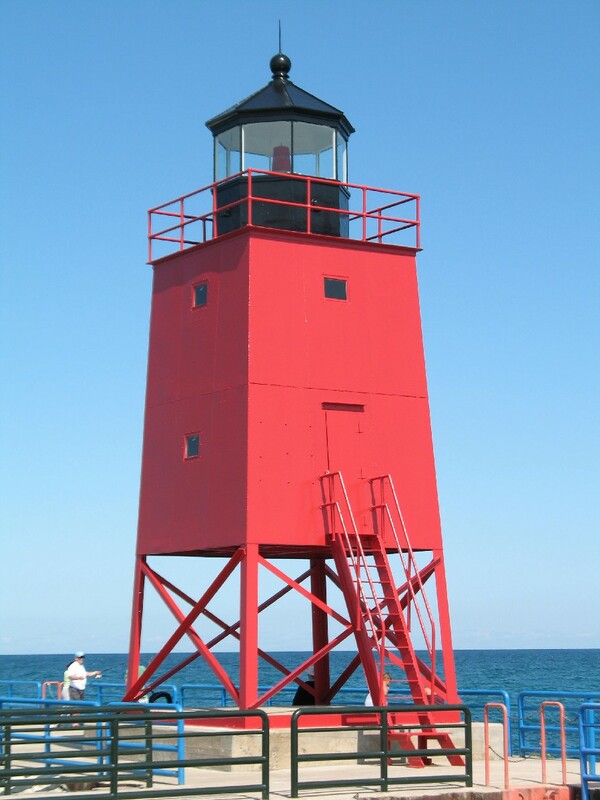 The exterior of the light has been painted and the color changed from white to red. 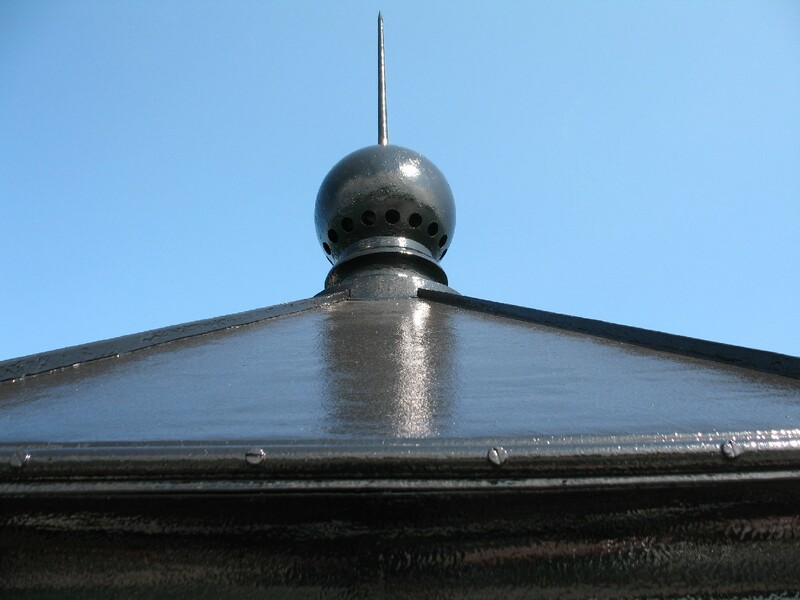 The new colors match the original, historic paint color scheme. 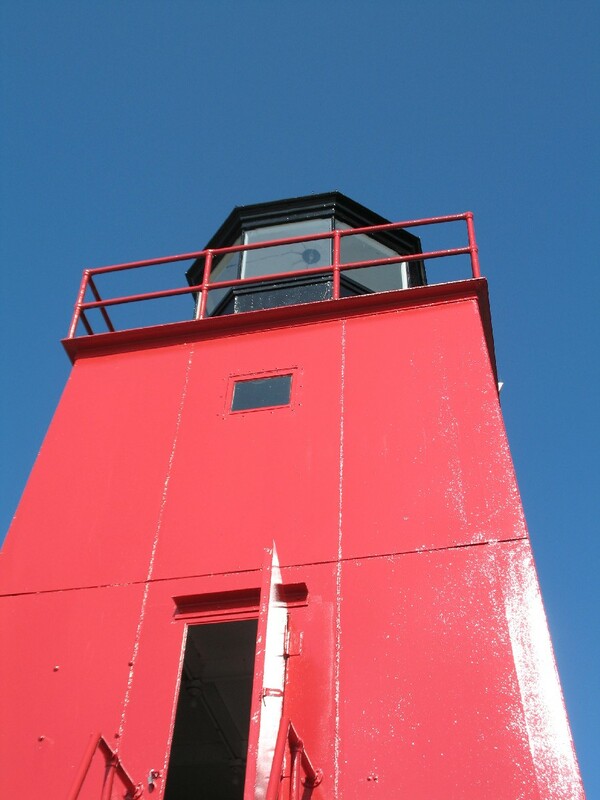 The new red was matched to the existing red paint layer found underneath the white paint coatings. 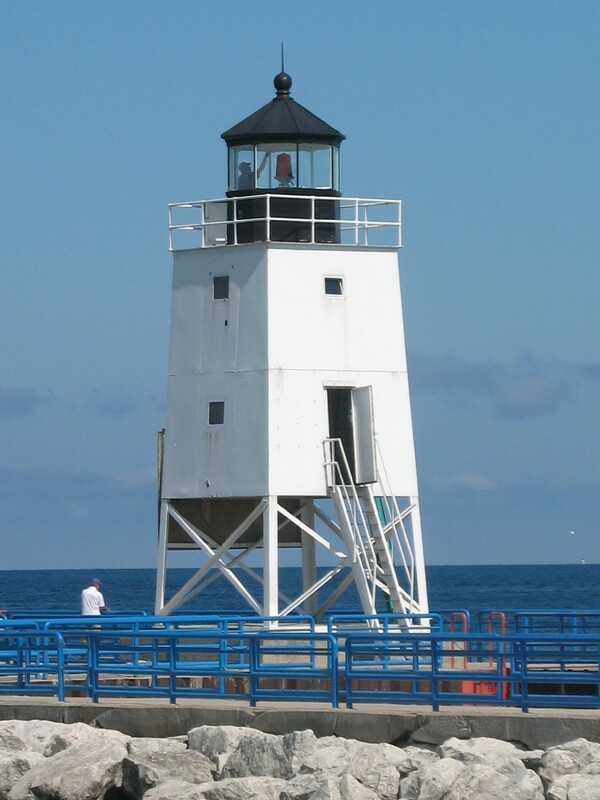 As part of this project, one bent steel angle brace was replaced on the south side of the base of the tower. 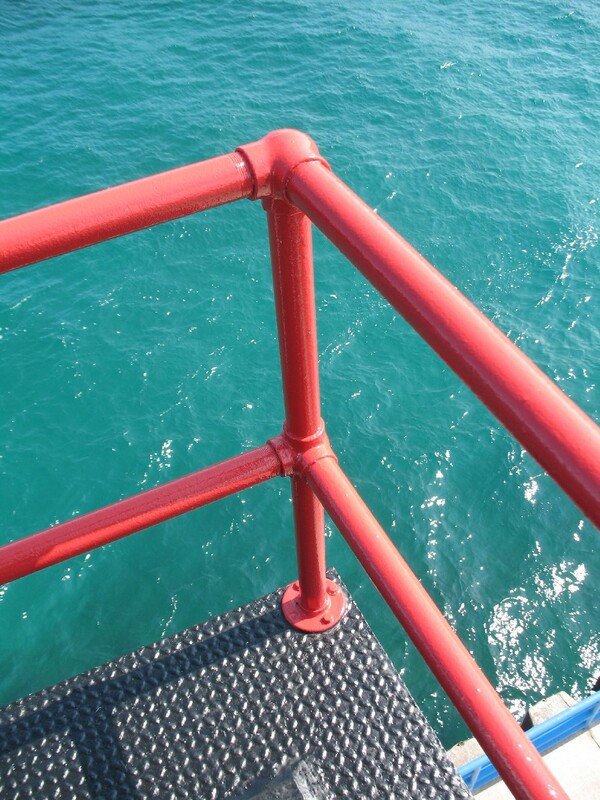 Also, a few of the lower most sections of the lantern gallery railing were replaced. Congratulations to the team of the Charlevoix Historical Society, Mihm Enterprises, and Smay Trombley Architecture for a job well done!